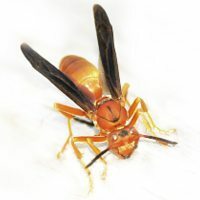 Adults are about 5/8 – 3/4 inch long. 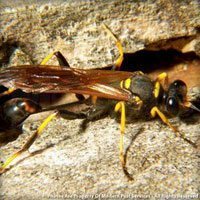 They are usually brownish with yellow markings, though some have been known to have reddish markings. 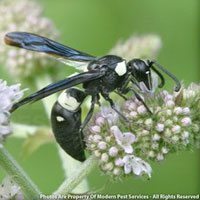 Paper wasps will hang their comb nests from branches, twigs, and shrubs. 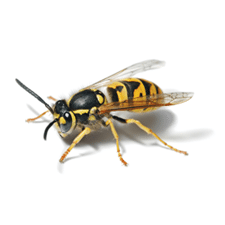 These wasps will sting if these nests are approached or tampered with. 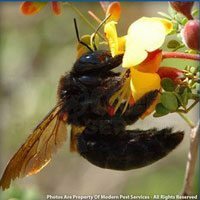 You can find nests hung from windows, door frames, eaves, attic rafters, decks, or railings. 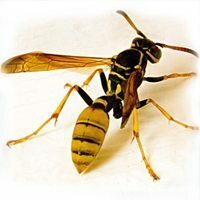 Paper wasps feed on sweet nectar and other soft-bodied insects. 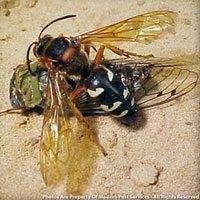 Paper wasps are social and their life revolved around the paper nest that is characteristic of the insects in this group.